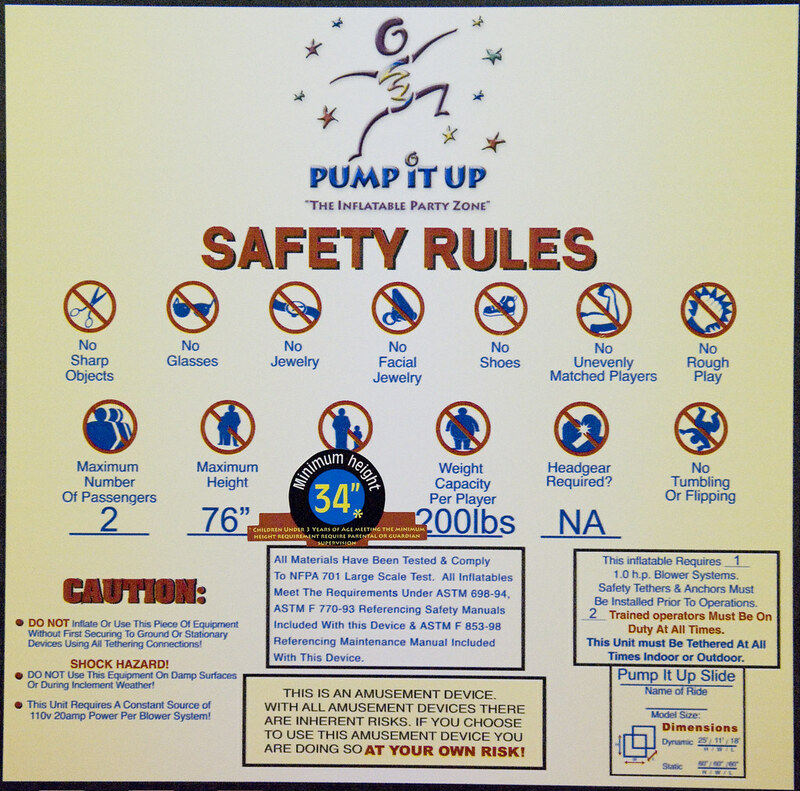 A variety of rules designed to mitigate accidents and loss of limb at a local bouncy-park, for kids. And people within certain height boundaries. And people above a certain weight. And people inclined to rough play. And people who may end up tumbling or flipping. And..
Why do I blog this? Intriguing iconography and visual idioms.